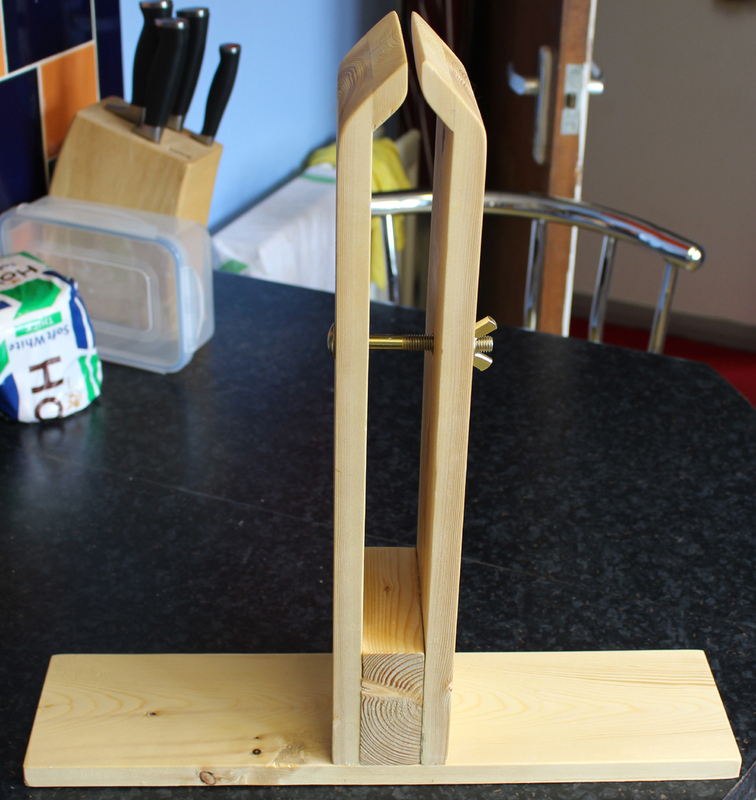 A hand made, functional and nice looking stitching pony for leather or canvas work. 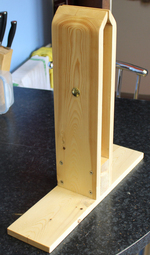 Made in pine and finished with linseed oil this stitching pony will serve you well for many years. 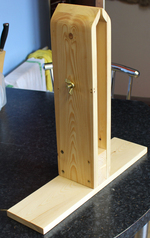 The clap can open to approximately 20mm and has a captive nut and bolt arrangement for clamping to your work securely. This stitching pony has been designed and crafted by me over the 3 years of leather and canvas working.